So this weekend I attended the Cape Town Content Creators event hosted at OneUp Bar in Long Street, Cape Town. Those of you who follow me on my Instagram know that I only JUST moved to Cape Town so I was really looking forward to this event to get to know fellow bloggers in Cape Town. This was the second edition of the #CTCCX2017 and let me just say straight off the bat that it was FLAT OUT AMAZING! The #CTCCX2017 second edition took place on Saturday 11 November and brought together content creators from all around Cape Town. Find out below my thoughts on the day and what my highlights were! So what is the CTCCX2017? The #CTCCX2017 is an end of year get together, hosted by Boring Cape Town Chick, that celebrates all the hard work and fun of Cape Town’s content creator’s industry. From bloggers, vloggers, Instagrammers and YouTubers, there was a wide variety of creators present. The event was fairly unstructured- just an amazing time getting to know each other, celebrate 2017 and reflect on the creative year that was! This year there was also more PR executives there, which was fantastic. It gave us a share to interact and share expectations from both sides. Who is behind the Cape Town Content Creators Experience? 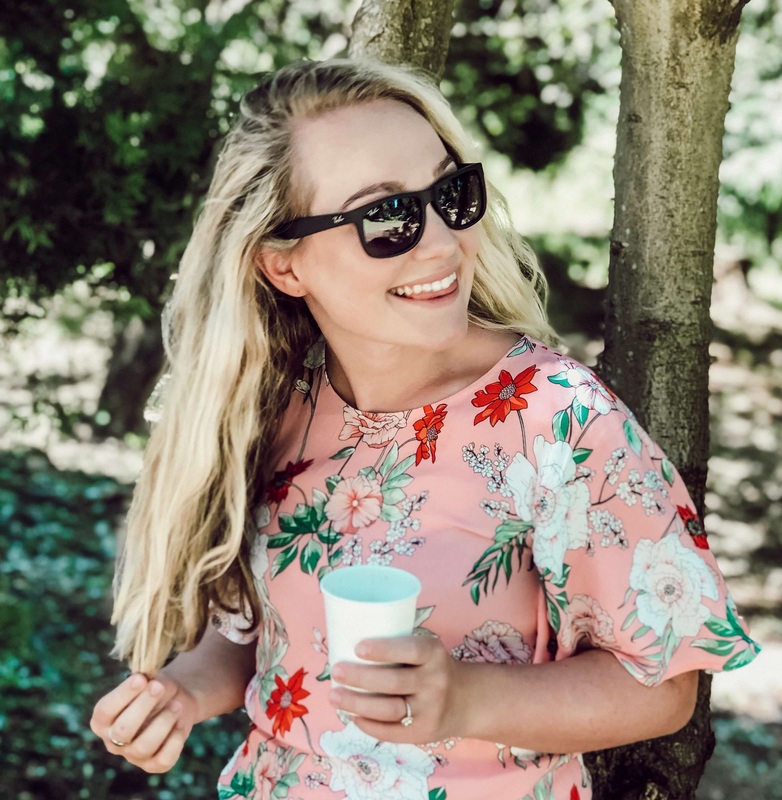 The event was organised and run by the fabulous Megan Sproat from Boring Cape Town Chick.For those of you who haven’t yet been following her blog, you are missing out! Boring Cape Town Chick is an amazing place to find out all the many incredible things to do in this stunning city of Cape Town. As a Cape Town newbie, I’ve been reading it a LOT to find fun things to do on the weekends! Besides the gorgeous view, stunning location and a perfect Cape Town day? Being serenaded by the outstanding Shout Music Company musicians. Give their page a follow here! Seriously, these guys are talented! I stood there like a bit of a groupie for a few minutes just enjoying the double bass and saxophone melodic sounds – the talent was incredible. The venue! The styling and interior decor was a great first true Long Street experience for me. OneUp is a garden balcony bar located above Cape Town’s iconic electronic dance club, Fiction Bar. Looking out from the deck you get an amazing view of Table Mountain and the vibey Long Street down below. Providing a venue with awesome views as well as staff for the party, OneUp really deserves some extra love and a major shout out! Delicious eats and drinks by the amazing sponsors. One of those yummy refreshing drinks (Sponsored by CointreauSA) would go down well right now! There was also many other generous companies on board for on the day prizes. These include Galileo Cinema, PopSockets, Butlers Pizza, Shout Music Company and the Entertainer. How stunning is the venue? The sheer energy of all the creatives! It was such a vibe. There was just this instant connection and I felt immediately among friends. Even though I just moved to Cape Town a few weeks ago, I felt like I left the event feeling connected to the community around me. Sharing social media accounts, having laughs and stunning cocktails it felt hard to tear myself away to leave! There was so much energy and passion it was tangible! And the top highlighter of all.. meeting other creatives! Meeting amazing fellow creators in both my niche and those very different from me! It was truly a great experience to share some laughs and realize that we all struggle with similar issues and get some really helpful advice. As bloggers we can often spend many hours behind our computers which can be a bit lonely. It was really wonderful to make new friends and see some familiar faces too. I felt very lucky to have met people I’ve been following online such as Jacqui from the Jax Blog! I thought Megan touched on something so amazing and vital yesterday. If we don’t believe in our work and it’s value, who will? As a creative community of South Africa, I think it’s time we all started supporting one another and being proud of what we give and add to our cities and ultimately our country. We are showcasing some of the amazing talent South Africa has to offer to the world. It’s also a fantastic place to mingle and meet others in your niche and others who maybe do something COMPLETELY different to you! Honestly I left inspired and revitalized for 2018 and all that is in store not only for my personal blog but for the creative community at large. South Africa is literally oozing with talent – not just Cape Town content creators but nationwide we have so much to offer! Furthermore I’m really looking forward to see what 2018 brings and I would love to see these events popping up nationwide in the future. Cape Town content creators, let’s all be committed to helping this event grow from strength to strength! Thank you Megan for a truly stunning and very well organised event. It is so important to meet such like minded people. Regretfully at our end we don’t have such gatherings. How I wish that was not the case. Make themost of such moments. Such a nice informative post, I really appreciate it.post would be very helpful for planning a visit on coming years of life. thanks for sharing. Pleasure Umesh!! Hopefully you can experience Cape Town one day!! This is really cool! Sounds like you had a great time. This looks like it was so much fun and it looks like creators of cape town have a chance to connect, it’s always great to connect with like minded people for inspiration and support. thanks for sharing. Yes Farhaj it was so great to connect with other creatives. Thanks for stopping by!